MAY 2, 2016 – Although it came too late and they still couldn’t play the concert, popular Arab band Mashrou Leila that was at first banned from playing at Amman’s Roman Amphitheater were invited back to play by the Jordanian authorities, due to a massive public backlash. The band has been constantly criticized by conservatives in the Arab world “because what the band offers contradicts the values of Christianity and Islam”, said Amman’s governor Khaled Abo Zeid. 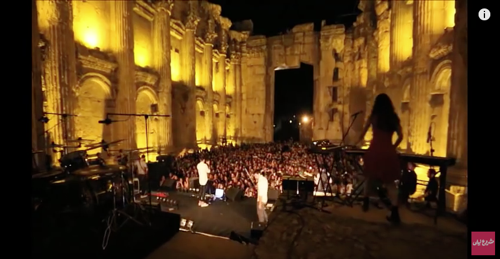 Read more on a piece by Sara Elkamel on HuffPo at the link below, and below is a music video from Mashrou Leila of their song “Habibi” live at the fascinating ancient site of Baalbek that some say may be “The Tower of Babel” from ancient times.